Dixit 2 makes Dixit even more fun! The multi-award winning party game returns with an 84 card add-on. Allow yourself to be caught in their spell and be transported on a new voyage of discovery. Dixit...a surprising, exciting, and evocative game to be enjoyed with friends and family alike. More stunning artwork by Marie Cardouat! 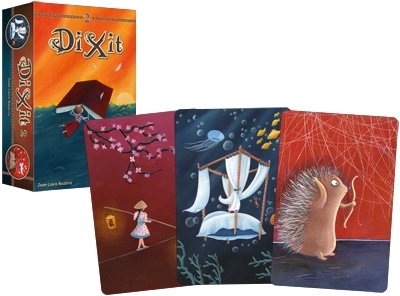 Other products in the "Dixit" series. Dixit is a great game, but it does suffer from a limited deck. These new cards really add to the variability and longevity of a great game. I loved the original Dixit game and was very excited to get the new deck. The first time we pulled it out we realized how fun it was to have new pictures to make things fresh. I highly recommend this addition.